In response to a huge expansion in travel and tourism worldwide, airports, airlines and other travel industry providers are scrambling to appeal to an ever greater variety of cultures and clients. Newly wealthy middle classes from formerly impoverished places is fueling much of the growth in travel. In Asia, many of these travelers are coming from Indonesia, a country with the largest Muslim population in the world, by far. And the tourism industry is taking notice. 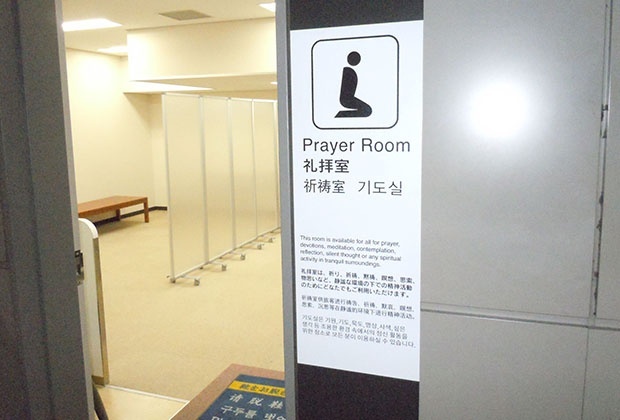 In Japan, for example, some airports are creating "Muslim-friendly" facilities like halal restaurants and prayer rooms equipped with foot-washing basins. In Japan and elsewhere, the huge increase in Muslim travelers is related to a relaxation in visa requirements for visitors from Indonesia and elsewhere. As the world continues to shrink, we'll be seeing lots more internationalism everywhere.